Yesterday afternoon, Jesse stopped by our neighbor's yard sale to say "hi" and be neighborly when he saw this little mod chair and picked it up for five dollars. The funny thing is that, unbeknownst to Jesse, I had gone over in the morning and inspected the chair but decided I didn't really need it. Later in the day, I started to think about what fun it would be to revamp the little mod chair; but when I arrived home from work I couldn't see it in the neighbor's driveway so I figured it had sold. My husband is just the best ever. I don't know how I got so lucky. Not only does he encourage and help me with my crazy DIY projects; he now picks up orphaned furniture for me too! 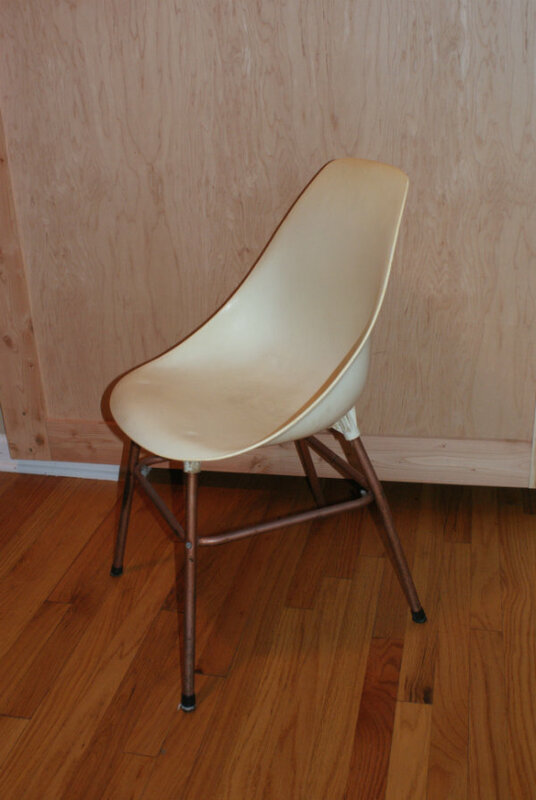 Oh Little Mod Chair, you won't recognize yourself when I'm through with your makeover!